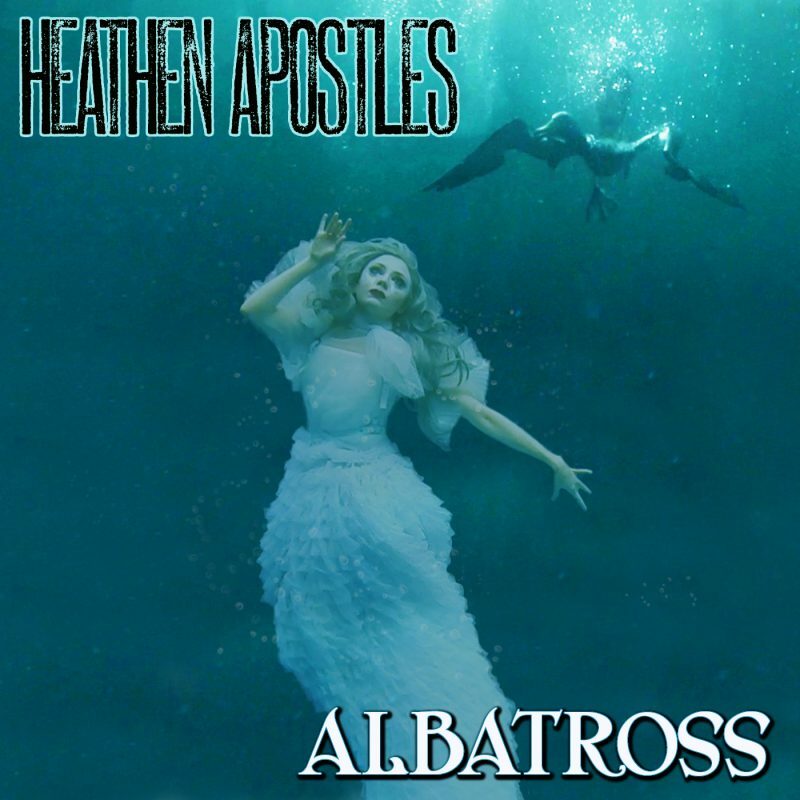 Private heroes of violanoir’s blog and wonderful extraordinary musicians Heathen Apostles present the new EP “The Fall”, which after the releases of Bloodgrass Vol. 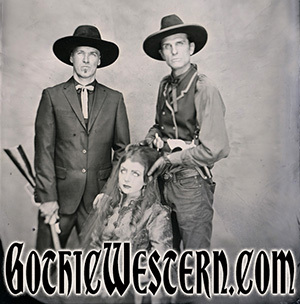 I & II is designed to return all the gothic and southern gothic to the sound of this band. 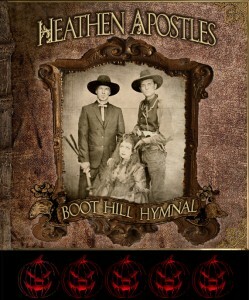 In “Through the Forest, Through the Trees” opens the otherworldly reality of the dark country’s melancholy and tales, penetrating the soul, silent spells… “The Fall” continues the theme more intensely and passionately, like the first releases of Heathen Apostles – “Boot Hill Hymnal”, “Without A Trace” and “Death’s Head”. 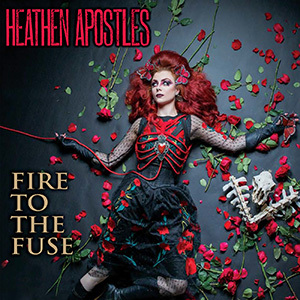 The romantic track “Out of the Ground” revives the early Heathen Apostles with all the mystical / heathen (pardon for tautology) fatality. 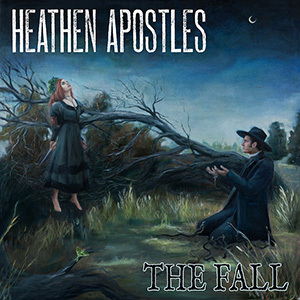 Nice coincidence – Heathen Apostles – The Fall was released 5 days after the release of “Red Dead Redemption 2”. 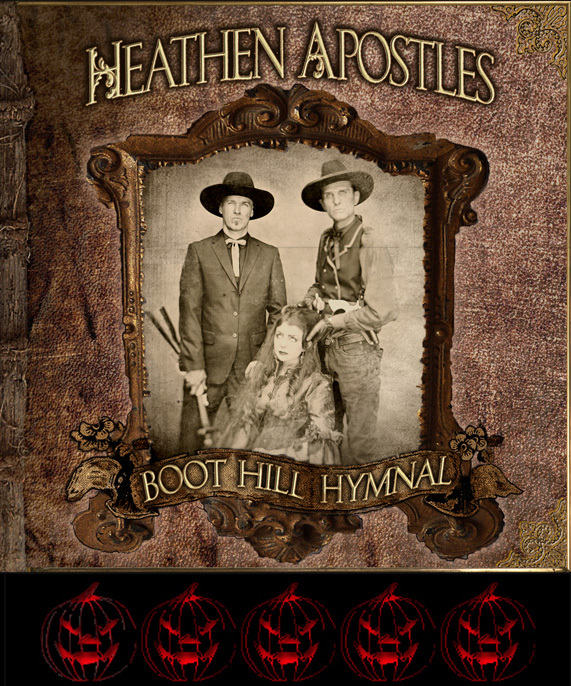 Now it is possible to ignore the original soundtrack of the game and start to its passage with the sound of true atmospheric gothic americana music. Review by ViolaNoir. Read the Russian language HERE. Listen to The Fall EP HERE. From the fertile ground of the most recent wave of roots music there has emerged an abundance of noteworthy bands and singer-songwriters. 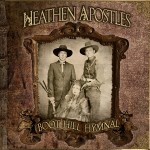 One such band is the LA-based Heathen Apostles, whose latest release, a full-length which combines the band’s Bloodgrass EPs, marks a significant point in the evolution of their sound. 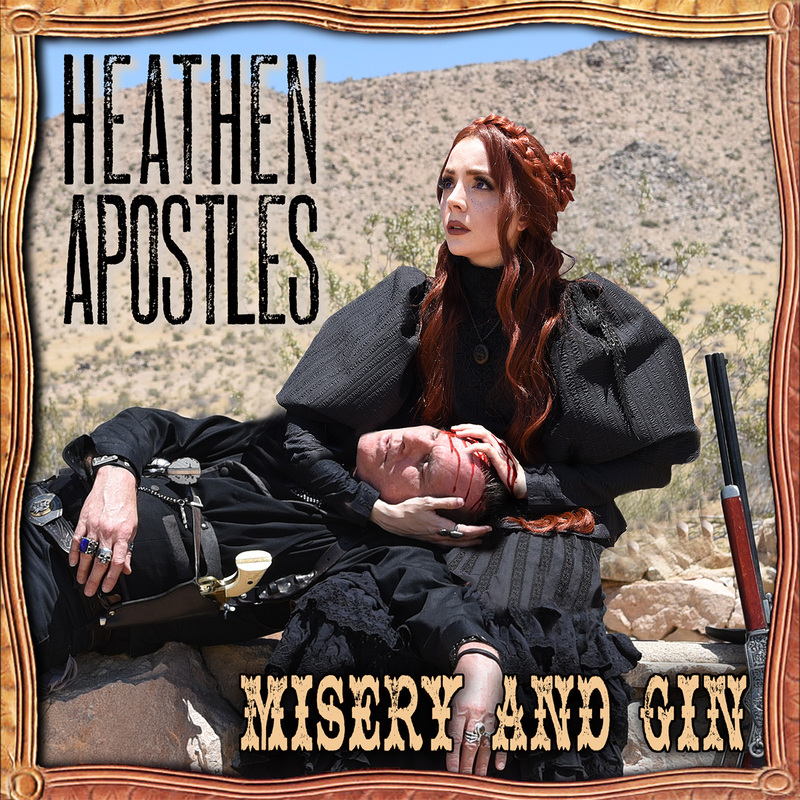 Call their sound what you will – gothic Americana, folk noir, doom country – but it cannot be denied that it successfully fuses the styles of bygone eras with those of today’s fringe music. 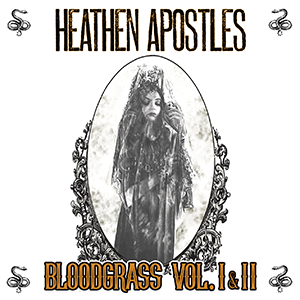 And the material on the band’s Bloodgrass Vol. I & II release is a fine example of this. 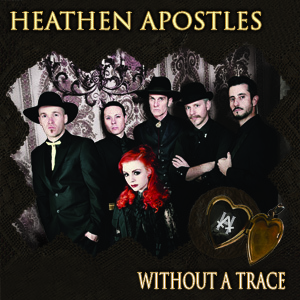 Heathen Apostles began over six years ago with a fateful meeting between vocalist Mather Louth (Radio Noir) and guitarist Chopper Franklin (The Cramps, Nick Curran & the Lowlifes), who revealed their mutual appreciation for murder balladry, Americana, and momento mori to one another. With the strong yet haunting vocals of Louth and the skills of multi-instrumentalist Franklin, the two kindred spirits sought out other souls to bring into the fold, soon adding the upright bass thumping of Thomas Lorioux (The Kings of Nuthin’) and the violin playing of Luis Mascaro. 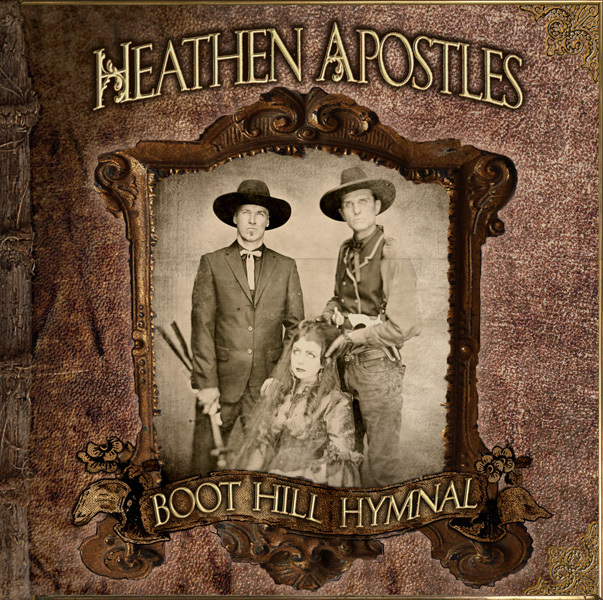 Since then, the band has released two full-lengths, Boot Hill Hymnal and Fire to the Fuse, as well as a small handful of EPs and singles, and have played their share of shows. 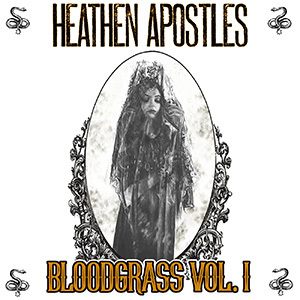 Bloodgrass Vol. 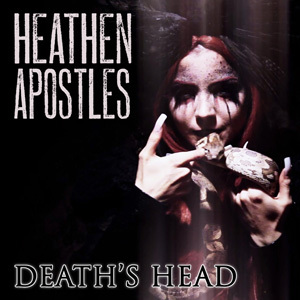 II & II opens with the Apostles’ dark, creeping rendition of Gershwin and Heyward’s classic “Summertime.” “Death Came a Ridin’,” a Heathen Apostles original, is a macabre piece dedicated to the reaper, with Louth employing a storytelling style of lyrical conveyance. 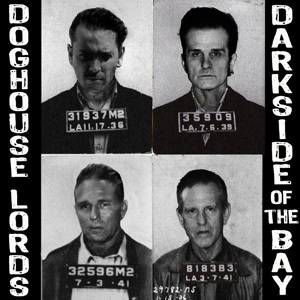 “Dark Days” somehow manages to successfully marry gloomy folk with gypsy jazz, and features some of Louth’s best vocal work on the album. “Lady in Gold” is an energetic gothic country offering, while “Deadly Nightshade” is an ominous picker with a simple but nicely punctuating beat. “Paint the Stars,” an easy standout on this album, kicks off with lively violin, guitar strumming, and steady beat, and then incorporates a powerful vocal performance by Louth. Other covers include versions of “You’ll Never Leave Harlan Alive” (Darrell Scott), “Ramblin’ Man” (Hank Williams), and “Shady Grove” (traditional). “D.O.A.” has a roots rock feel to it, while the closer, “Fever Jane,” another easy standout, is a moody picker with darkly beautiful vocals. 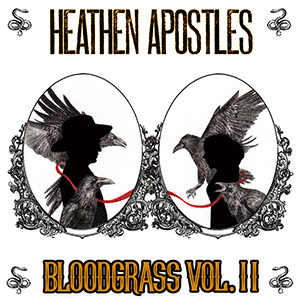 Like all the band’s releases to date, the Heathen Apostles’ Bloodgrass Vol. I & II is available from Ratchet Blade Records. And to follow it up, the band is also preparing to release yet another EP, titled The Fall, in the very near future. To read the review on NoDepression.com, click HERE. 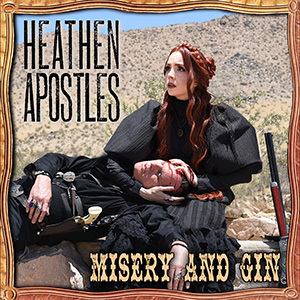 Out of the City of Angels comes a devilish new band with a dark twist on classic American country, bluegrass and murder balladry. 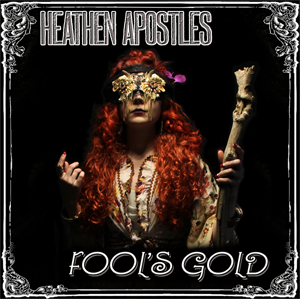 The Heathen Apostles offer a sound that combines gothic and punk overtones with edgy lyrics of murderous love, outlaw crime and damnation. 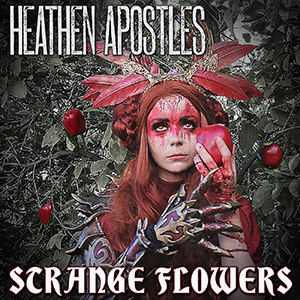 These heathens have been making a stir around Southern California during the past 2 years and just recently appeared at the annual Ink N Iron Festival at the Queen Mary in Long Beach, CA. Now, when you first gets a glimpse of the Heathen Apostles, it is hard not to do a double take. This band casts a dark shadow over the crowd as they enter and appear more closely to funeral entertainment for a 19th century downed gunslinger versus an LA club night with twenty-something hipsters in the crowd pecking away at iPhones. However, with head-to-toe blackness, vintage Victorian-era attire, stern countenance and a wide array of instrumentation, the shear visual of the band can be both alluring and overwhelming. 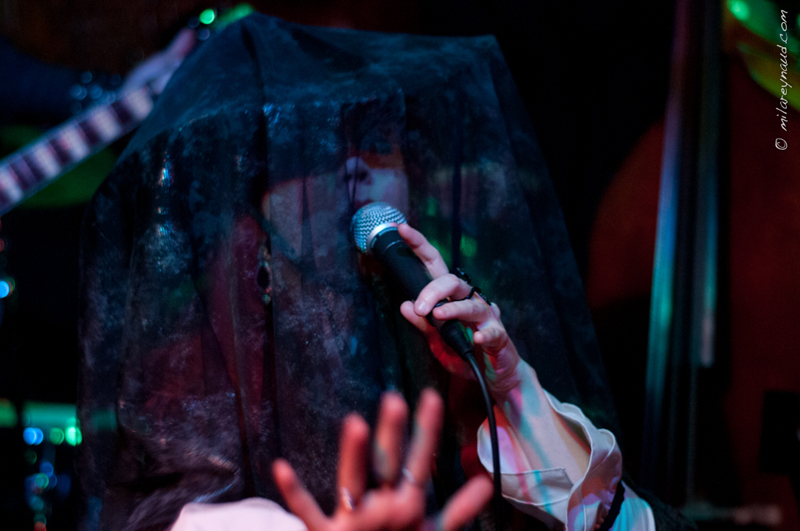 The final blow comes from the diva front woman, Mather Louth (Radio Noir) who normally takes the stage with full funeral head vale, jet black lipstick and pale white skin. Mather out front of this group mystifies the crowd with haunting gazes and enigmatic poses throughout the performances, which transmits both beckoning and threatening signals at the same time. HA may have roots in many genres, but their combined sound is altogether their own. 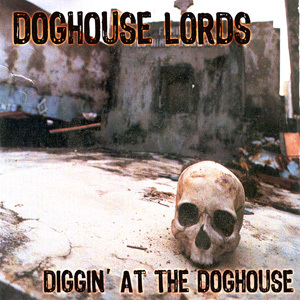 The band touts familiar names such as Chopper Franklin (The Cramps) on guitar and Stevyn Grey (Christian Death, 45 Grave) on drums, but other band members round out this musically tight and original arrangement including Thomas Lorious (The Kings of Nuthin’) on an upright bass, Viktor Phoenix (Dessau) on both banjo/mandolin and the talented of Luis Mascaro on fiddle. The songs of HA range all tempos and emotions. From the fast-paced, boot-clicking tunes of ‘Without A Trace’ and ‘Forget Me Not’ down to the somber murder ballads of ‘Before You Go’ and ‘Dark Was The Night’, the listener is not stuck in a monotonous or monochromatic musical experience. HA has a tight musical delivery, an innovative dark approach and an unforgettable stage performance that stays with you long after the performance is over. 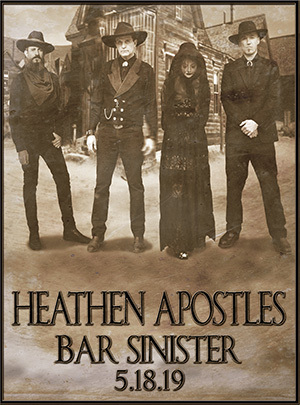 The Heathen Apostles are not your typical night out on the town and definitely should not missed, as we might be seeing an ushering in of a new genre with possible copycat bands soon to follow. Vincent Price would have loved these guys! 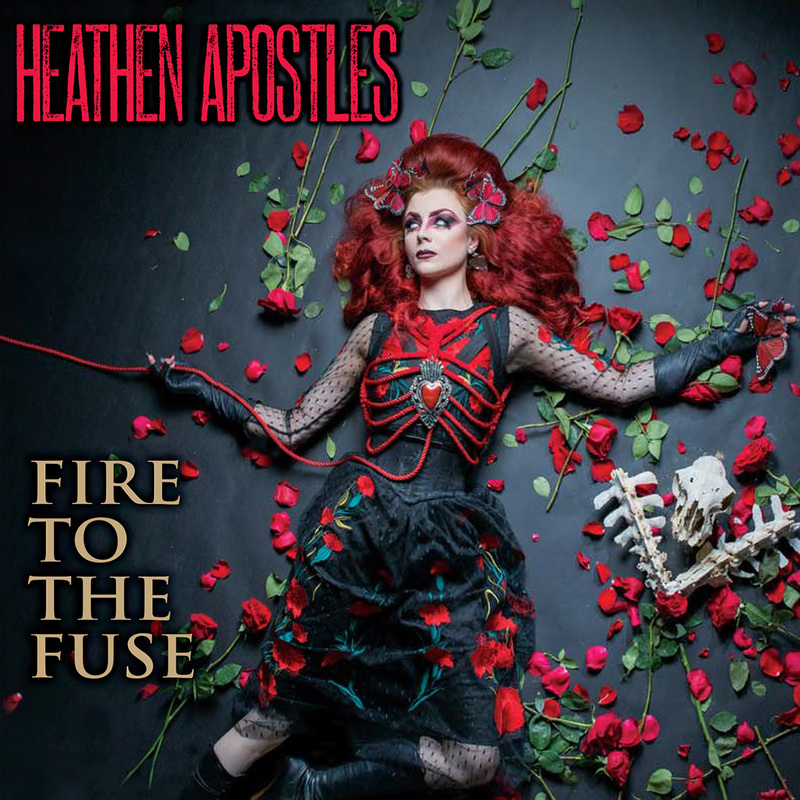 Gothic rock meets rockabilly? Music has had strange bedfellows before so why not? Gothabilly is a intriguing hybrid of sound that seemingly falls apart on paper but comes together for a delightful riff on the lighter side of evil. The band has some serious credentials with former Cramps bassist Scott “Chopper” Franklin and Blondie drummer Clem Burke. This is a release that is built on the “spirit” of the music as much as the music itself and includes some excellent covers of some golden oldies and pop favorites. A cult band / super group in the making? Probably! Some of the more interesting if not incredibly fun covers include Duran Duran’s “Girls On Film” and a grooved out riff on Warren Zevon’s “Werewolves of London.” The reigning Queen of rockabilly makes an appearance on the Elvis Presley hit “She’s Not You.” A “fun” record that you can actually take seriously, there is some muscle behind the tunes and the arrangements work well and are not near as “cheesy” as something you might here from the Stray Cats. Perhaps the hidden jewel in the release is the cover of “Sweet Transvestite” from The Rocky Horror Picture Show.” At first you think, “no way.” You walk away loving it. 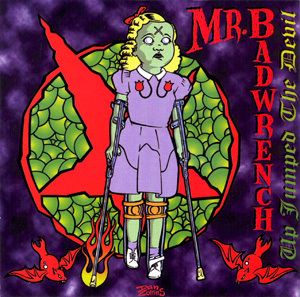 Tracks: People Are Strange; Sunglasses After Dark; She’s Not You; Runaway; Sweet Transvestite; Edge of Reality; Necromance For Guitar; You’re My Baby; Werewolves of London; Black Cadillac; Girls On Film; 69 Guitars; Bela Lugosi’s Dead. 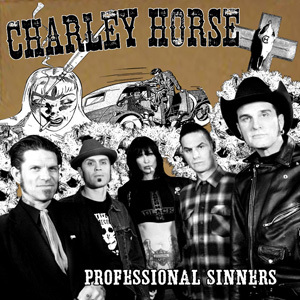 Personnel: Jyrki69: Vocals; Danny B. Harvey: Guitar; Scott “Chopper” Franklin: Bass; Clem Burke: Drums. The 69 Cats, consist of the vocalist Jyrki69 (The 69 Eyes), Danny B. Harvey (Rockats, Headcat) on guitar and Chopper Franklin (The Cramps) on bass, emerge with the title single of their first EP “Bad Things”. This is definitely a weird kind of supergroup, let’s see what they have created sound wise. Kicking off this weird and wonderful journey into rockabilly cover madness, comes in the form of “Bad Things” notably from the tv series “True Blood”. 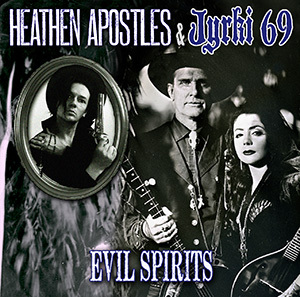 From the off the distinct vocals of Jyrki69 are haunting, the guitars are very vintage sounding but make this a very good version. Think along the lines that this could be the theme to a spaghetti western instead of a glittery vampire series. “Black No 1” by Type O Negative get the treatment next, after loving they original for many years I find myself grooving along. The creepiness seems to be intensified from the original as the female backing vocals give it a very spooky feel, I think Pete Steele would be proud of this version and be grooving with Elvira or the Munsters. The final track to get the 69 Cats treatment is Elvis’s “Flaming Star”, knowing how much Jyrki69 has been influenced by Elvis over the years, this seems to be a good homage to the king. 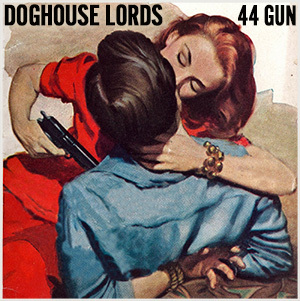 If you are a fan of the band members involved, you may either love this E.P. Or just think it’s wacky, myself I found myself wanting to groove like a cool cat and can’t wait to hear the full album being recorded in 2014. 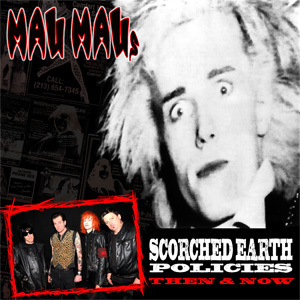 You can read the review on Punk Globe by clicking HERE. 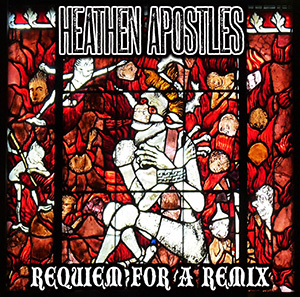 The mastermind of the Heathen Apostles is Chopper Franklin (The Cramps, Nick Curran, etc. ). 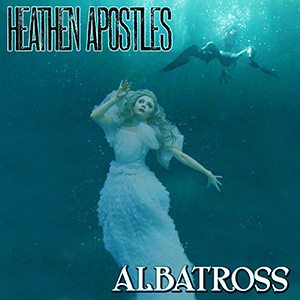 They describe themselves and their music as ” … southern gothic imagery surrounded by haunting, minor-chord melodies, helmed by the voice of a evocative indigo child, unstuck in time … ” Unfortunately there are only three songs on the EP, but they are in a league of their own, Americana at it’s best. 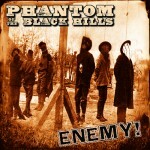 Whoever likes Bob Wayne, Hank III and friends, should get these songs. A review of the 69 Cats’ April 21st appearance at the Viper Room in West Hollywood has been posted, it is written by Lizzie Rose and features photos by Lexa Vonn. You can read it in it’s entirety HERE. 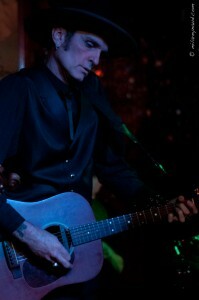 The 69 Cats are a Los Angeles and Helsinki based Gothabilly band. 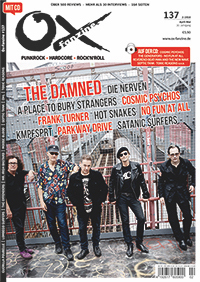 The supergroup consists of Jyrki 69 of The 69 Eyes on vocals, Danny B. Harvey of Stray Cats and Head Cats on lead guitar, and Chopper Franklin of The Cramps on bass. Filling in on drums the night of their recent show was Todd T Burr. 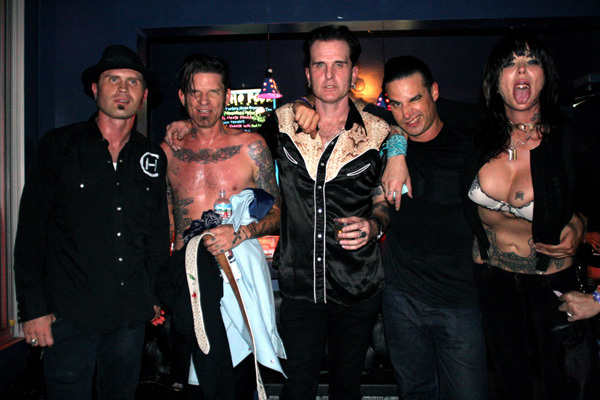 They returned to their Los Angeles home, The Viper Room for their very first full-set show. I had met and seen the trio onstage on their previous visit back in October 2013, when the band was just starting to fall into place, and I fell in love. Of course, I was not going to miss it this time, so I hopped on the first bus headed to Hollywood. It was pretty amazing to listen to their covers. Even a little more interesting was listening to and watching Jyrki 69 sing and dance to Elvis’s “Heartbreak Hotel.” If you’re a longtime fan of The 69 Eyes like myself, you already know what I mean. The man’s voice is hauntingly similar to the King’s, only a tiny bit less sweet. And he’s definitely got moves like Elvis, so it caught me off guard for a moment; I could have sworn it was the King himself singing that song onstage. Finally, they closed the set with their own version of Bauhaus’ “Bela Lugosi’s Dead,” which drove the whole venue wild. Afterwards, the band allowed fans to enter their backstage dressing room for pictures and autographs. It was a really sweet thing to watch, as not many artists allow such a thing. The after party was held at the Sunset Strip’s world famous Rainbow Bar and Grill. There, fans were able to have a few drinks and converse with the boys. Again, I found that to be really humbling and sweet of them as not many artists do those kinds of things. I personally didn’t really get to spend time with them this time around as I had previously done last time they were in town. I thought the rest of the world deserved to know how sweet these men actually are offstage. Overall, it was a great show and a great night. 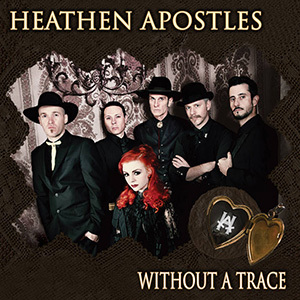 Grown from the roots of rockabilly with a dangerous dark omen, The 69 Cats, formation consisting of the vocalist Jyrki69 (The 69 Eyes), Danny B. Harvey (Rockats, Headcat) on guitar and Chopper Franklin (The Cramps) on bass, already with the title single of their first EP, the theme from the popular HBO series “True Blood”, whose sample was also available for those of us in the countries where iTunes is simply not working, and has dangerously stirred the rockabilly ground. And then The 69 Cats spiced up the atmosphere and on November 25th (just in time for the first winter days in our neck of the woods) released their first EP. iTunes was not merciful this time, as well as any other service in which the residents of the United States and some European countries can enjoy in a real rockabilly treat for just under 3 bucks. How this treat came to my ears will be kept as a small, sweet secret with another thanks to the “source”, with the note that a better dose of morning awakening I could hardly have expected. All those who think they know a thing or two on rock’n’roll know at least the basic definition of rockabilly, and the fascination by it pertinent to these musicians consisting such a lively and interesting trio is also well known, therefore there isn’t much else to do than go on a journey clocking just under 10 minutes which is opened by “Bad Things (As Heard on True Blood)”. Already the idea itself to cover the song, performed originally by Jace Everett and in the past few years came to be one of the most popular television theme songs ever is very bold, and all doubts in the originality and courage of its new version are immediatelly smitten mostly thanks to the colourful voice of Jyrki, which is additionally deepend by the genuine rockabilly sound of the good old rock’n’roll from his best days. And just when you dare to do some over-the-top dance moves in your apartment, or even office, there comes another classic. Type O Negative – the band everything has been said about, and nothing told. Type O Negative, the legendary gothic metal band from New York, led by the legend and one of the best male baritons that ever walked the planet – Peter Steele (RIP). Besides his colourful voice and hypnotizing green eyes, Peter Steele was known for his “vampire effect” he had on his mostly female audience, and “Black No 1 (Little Miss Scare-All)” is undoubtedly one of the unforgettable traces in the legacy of the band which in many ways changed and shaped the world gothic metal scene. Yes, The 69 Cats have put their version of his evergreen on their EP, no less. 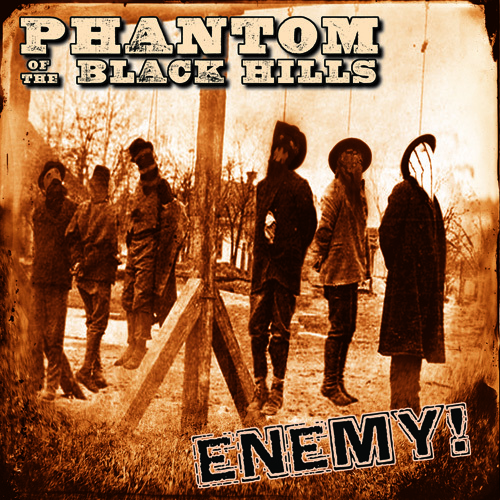 Rockabilly, or more precise, darkobilly feeling here is so strong that you get goosebumps while the notes get under your skin. Jyrki is brilliant and in certain moments you get the feeling that he completely merged with the tone of voice of Peter Steele which we got used to while “Loving you – loving you – love love loving you was like loving the dead…” echoes through the room, up until that millisecond when you realise that The 69 Cats have merged with “Black No. 1”, completely naturally and simple, as if it always waited for a rockabilly attire, dark and seductive just like Peter Steele was. And just when I thought it can’t get more bold and better, there comes “Flaming Star”. It was also the song I anticipated the most, because who can get close to the King anyhow? History writes the pages with golden letters on Elvis Presley, his life and work, through his songs and generation of fans the King lives on, and “Flaming Star” just rose from the ashes. Like the Phoenix. And shined a new shine, slightly darker, more modern, a tad more expressive. All those who know and follow Jyrki’s home band The 69 Eyes, know that he is not only a great admirer of Elvis, but certainly also one fo the rare voices that, if he were alive, would have intrigued the King himself. Always and again unsurpassed, Jyrki has come dangerously close to the always unsurpassed Elvis version (is it just because of my sentimentality and life-long connection to Elvis and his opus, you can judge yourself after listening to this version), and his tone of voice, completed with a rockabilly spirit, certainly makes “Flaming Star” the new flaming star on the pretty dark rockabilly sky. 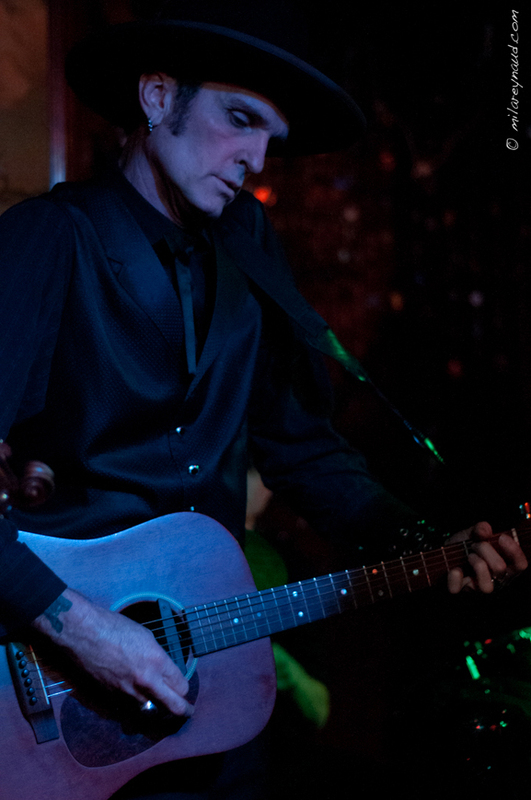 The 69 Cats are definitely a true refreshment on the world rockabilly scene in all its nuances. Masterful playing is undoubtable, vocal brilliance present, completeness in arrangements clear and pure like freshly washed glass. All this, coupled with a very bold choice of songs that have been brought to the very top of perfection in their new attire, like in their original versions, bring the hunger for more. I hope for an album, I hope for gigs on the European soil. Because The 69 Cats are a must see in every aspect! 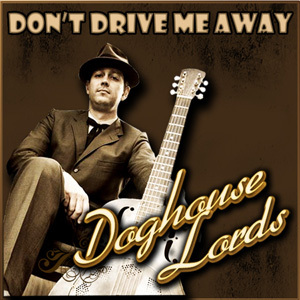 Rockabilly fans – open your eyes and take a deep breath – the cats are coming!